The more you use Kinect, the better it will work for you, says Microsoft's Alex Kipman. Everybody is different, from the way they look, to the way they move, and when Microsoft was building Kinect, it realized that trying to accommodate all that diversity with a lot of code simply wasn't going to work. Instead, it decided to take a different tack: Start Kinect off with a generic model, and have it learn the rest as it went along. Kinect essentially takes notes on the people using it, making the experience better for them by being able to better recognize the way that they move and other elements like the layout of their playing space. Microsoft's director of incubation Alex Kipman likened the approach to the way a child learns to differentiate between people, or between people and other animals, saying that over time, Kinect built up an increasingly accurate picture of the people using it and its environment. He said that this was the only way of making Kinect work the way that Microsoft wanted, as the number of man-hours needed to get the same effect with traditional, "cause and effect," programming was too big to ever be feasible. Interestingly, all this learning won't have too much of an effect on the Xbox 360's processor. Despite earlier comments saying that Kinect would use between 10 and 15 percent of the 360's CPU, Kipman says that Microsoft has managed to get that number down to "single digits." Microsoft achieved this by using the graphics processor to handle the bulk of Kinect's learning experience, a task that Kipman says that it's much better at than the main processor. Kipman was confident that Kinect wouldn't have a negative effect on games, as there was always "significant amount[s] of processing" left to use, even with the most recent releases. He acknowledged that it would be something that developers would have to take into account when building their games, but said it was no different from the compromises made when a studio licensed a third-party engine for its game. 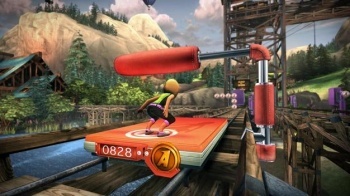 Kinect will be available tomorrow in North America, on November 10th in Europe, and November 18th in Australia.